ModPo is racing on; we are now starting Week Five of this ten week course. 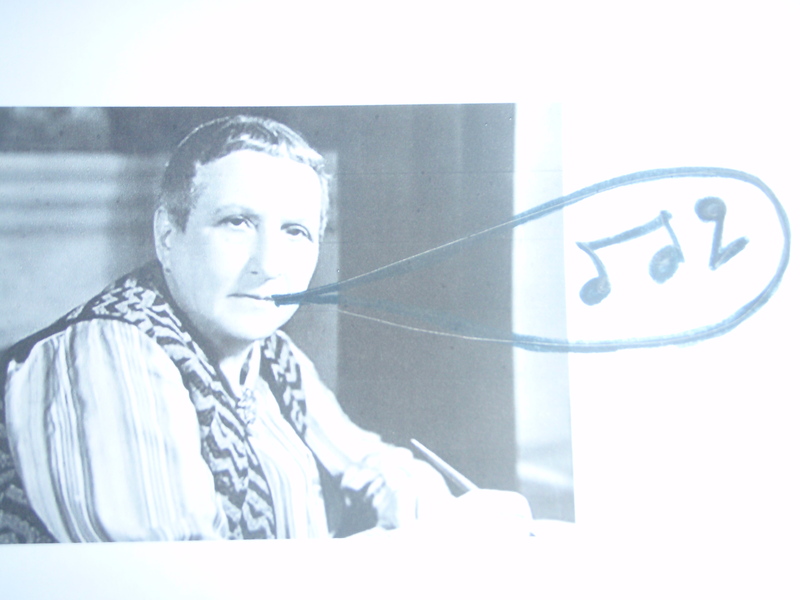 My highlights last week were listening to a Penn Sound recording of Gertrude Stein reading her poem If I Told Him: A Completed Portrait of Picasso (1912) and watching an extract from Shutters Shut, a dance choreographed by Paul Lightfoot and Sol Leon (Nederlands Dance Theater) which uses Stein’s recital as its musical score. Hearing Stein’s recording emphasised the musicality of the poem, a musicality which didn’t sing out as I was reading it on the page. After hearing the recording and watching the dance, lines from the poem played repeatedly in my head, in the same way that snatches of songs I’ve heard on the radio linger in my head and find their way into sudden bursts of whistling, humming and singing. The poet, Robert vas Dias, whose workshop I attended recently, quoted F.S. Flint on one of the principles of Imagism: “as regarding rhythm: to compose in the sequence of the musical phrase, not in the sequence of a metronome”. This formulation certainly makes sense when engaging with Stein’s writing. Week Five: Anti-Modernists Doubts – Communist Poets of the 1930s.